We will defend President Mugabe with our lives, vows Zimbabwean youths – Royal Times of Nigeria. 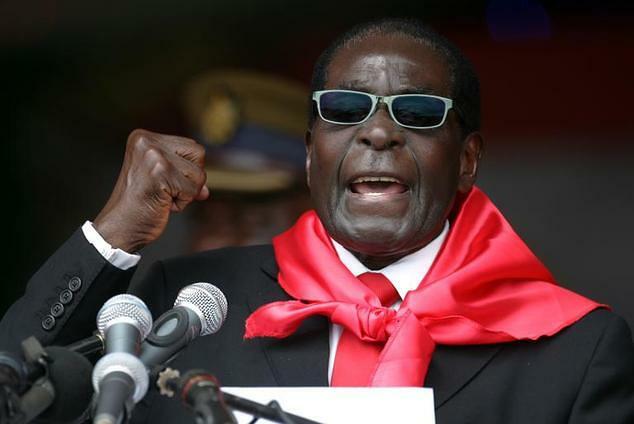 Youths in Zanu-PF, the political party of President Robert Mugabe, have vowed to stand by him in the face of any threat to his position as the constitutionally elected leader of Zimbabwe. Speaking to journalists at a press conference in the country’s capital Harare last night, the Secretary of the youth arm of the party, Kudzanai Chipanga, said that young people would not allow anyone to interfere with President Mugabe’s leadership. “We are, therefore, taking a stand against those who are bent on sowing division among our people and also those taking advantage of the privilege of their appointment by our President to extort guarantees and immunity for fugitives, boarder jumpers from the same appointing authority. These people should be warned that we the youth are watching in our millions and those who wish to ride on the back of the tiger will end up inside. Chipange said that the military’s intervention is an assault on their freedom since the new Constitution places soldiers in barracks and civilian authority in power. He called on all the youth of the country to put aside their political, gender or creed differences and stand against this attack on their freedom.